Light in flavor and hops. This is a pilsner beer, done in the old tradition. 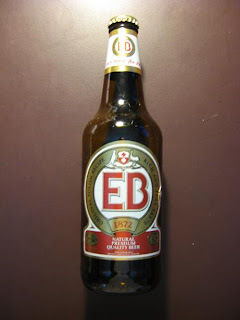 The Elbrewery's logo has a kangaroo and an ostrich on the label, not two items you would likely find in Poland, except at the zoo. Their motto is, "It's time for EB." Well, I don't know what time it really is but I'd have another of these, anytime at all.